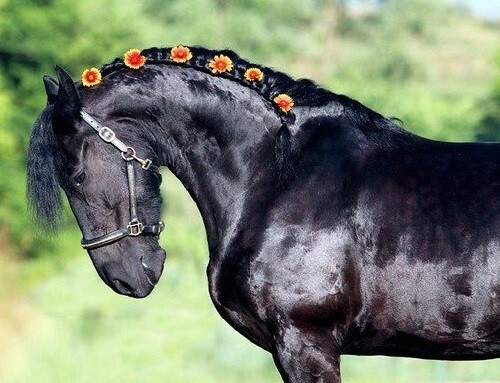 Lord, who made the horse, said to it: “You are like no one animal; all earthly treasures lie between your eyes. you’ll trample my enemies and carry my friends. On your back will be prayers said. You will be happy in all the earth, and you will be appreciated more than all creatures, because love of Lord of the earth belongs to you. You’re going to fly without wings and strike without a sword … “. Arab legend. 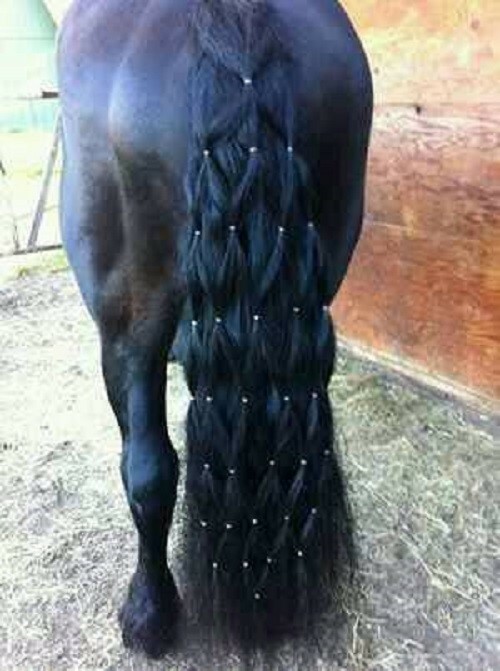 Special power of horse hair is not a legend. 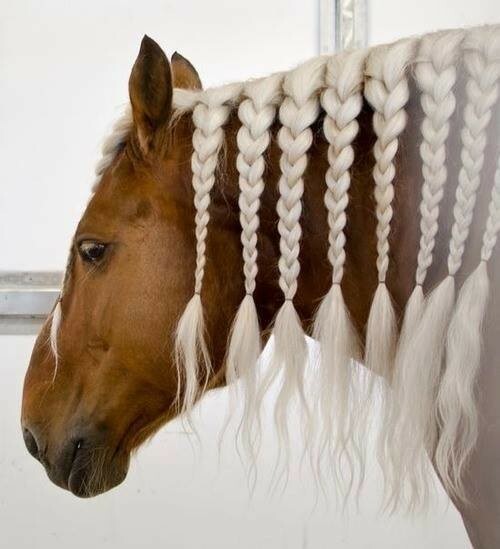 Maybe that’s why you get great pleasure, touching mane with hands. 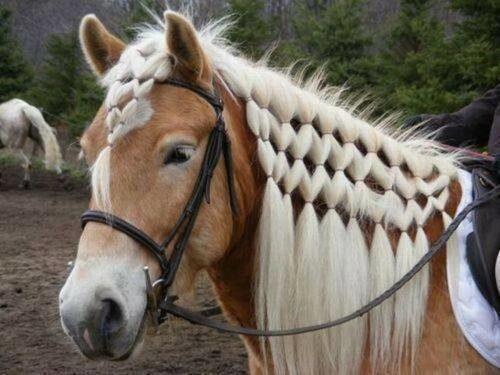 Horse mane has become an inspiration for creating horse hair-style. 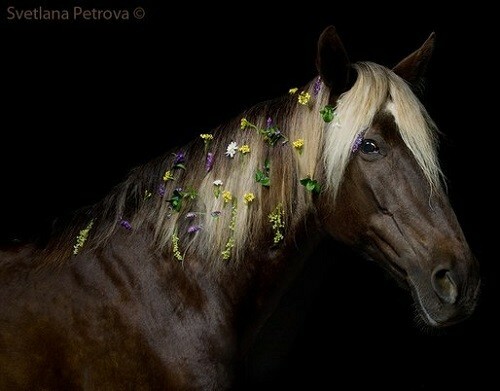 All horsemen and owners of beautiful horses want their horse to be the most beautiful! 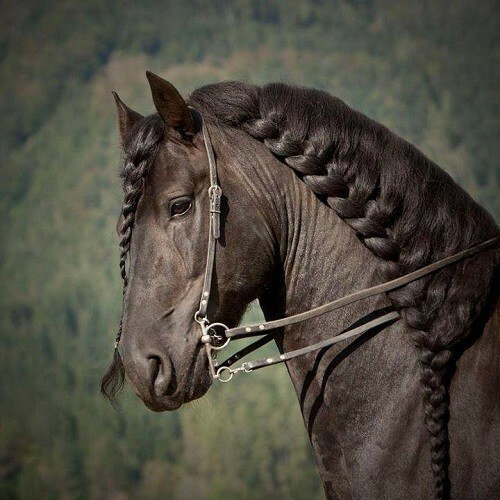 Undoubtedly, horse is an amazing creation. Graceful, stately with sad and kind eyes. For thousands of years they faithfully serve man. 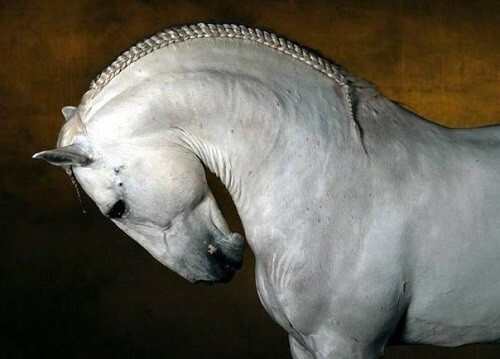 They symbolize wisdom, agility and courage. 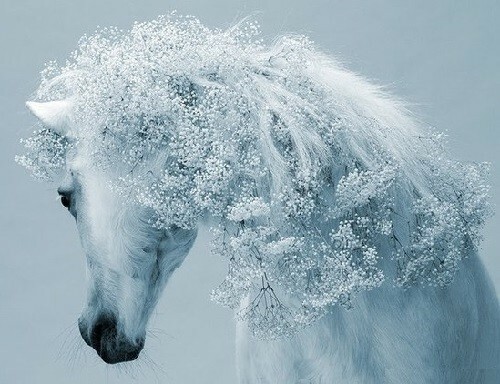 To dream manicured, beautiful horses – to success and prosperity. 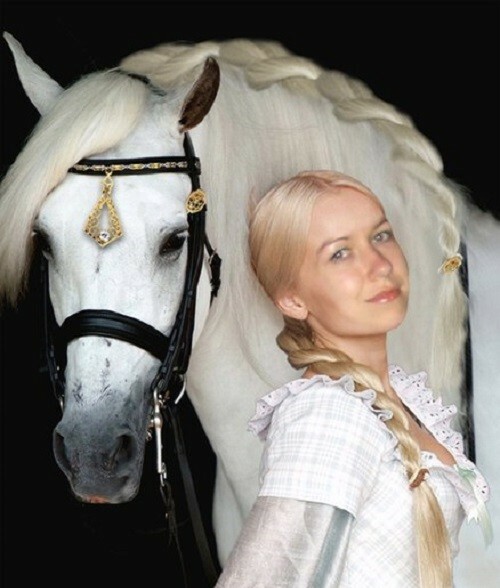 The horse symbolizes life (white horse), and death (black horse). 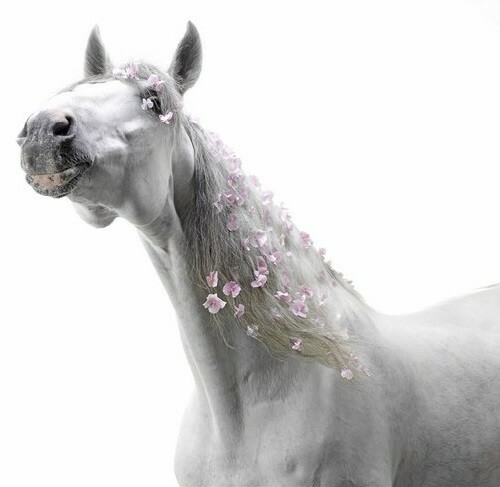 Wherever the horse plays the role of a cult, it is white. 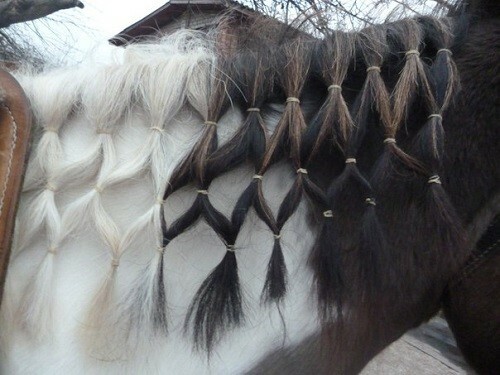 In different traditions horse carries the deceased into the beyond world. 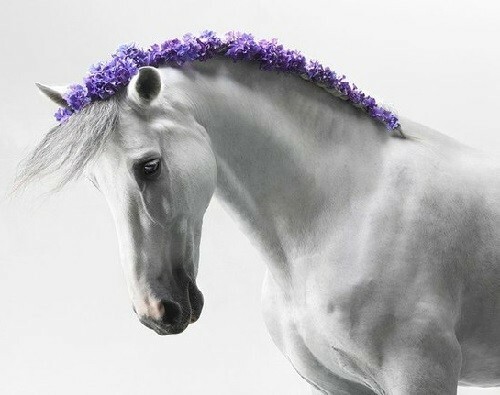 And very often the relatives of the murdered victim brought the horse to his grave believing that the horse will bring its owner to another world. Warriors were buried with horses. Currently popular horse treatment – hippo-therapy. The psychological effect on the human body is very strong. In the process of communication with the horse relieves stress, while driving man submits to the rhythm that sets the horse. Moving at the same pace, the rider and the horse feel each other’s trust and become friends. 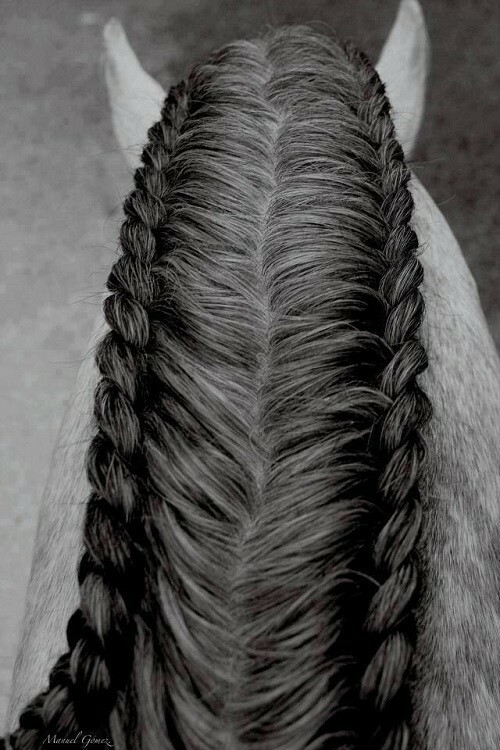 Riding relaxes and calms a person. Therefore, hippo therapy is especially popular in diseases of the nervous system. And what a tremendous effect makes even a simple stroking!